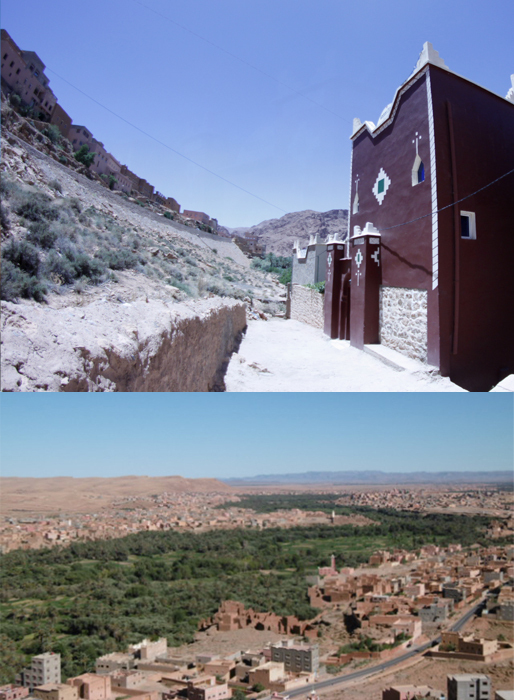 Palmeraie Guesthouse is a traditional Berber house situated 7km from Tinerhir. Tineghir in southern Morocco. The guesthouse in on the road directly to the Todra Gorge (7km). Two brothers run the guesthouse and restaurant. Rachid and Jouad welcome you to Palmeraie Guesthouse! 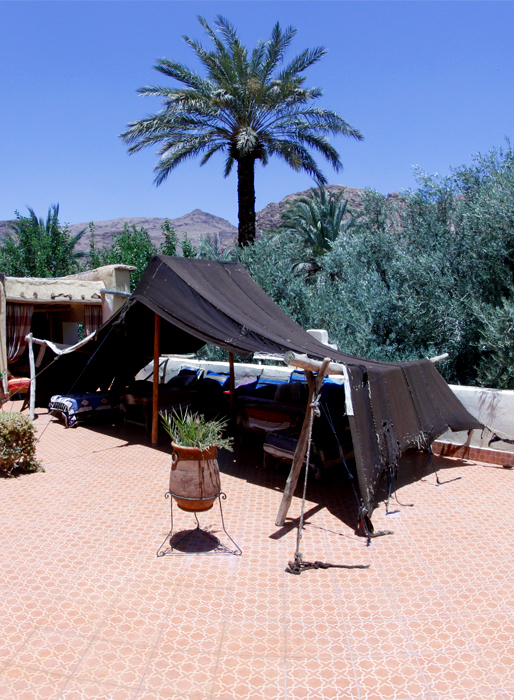 Stay in a Berber home in the Todra palmeraie. Eat fresh and delicious Berber food. Relax and soak up Berber culture. Walk, hike, and trek through the palmgrove, the Todra Gorge, and the surrounding mountains. 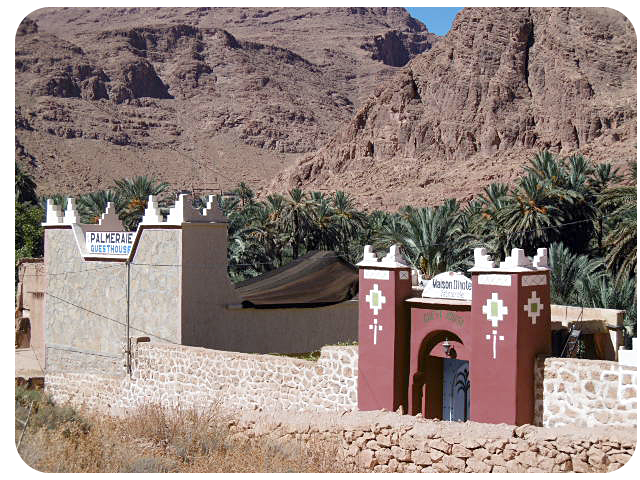 Visit the old Jewish quarter and old Koranic school in Tinerhir.